Robert Dutton Artist: A little walk in the hills! 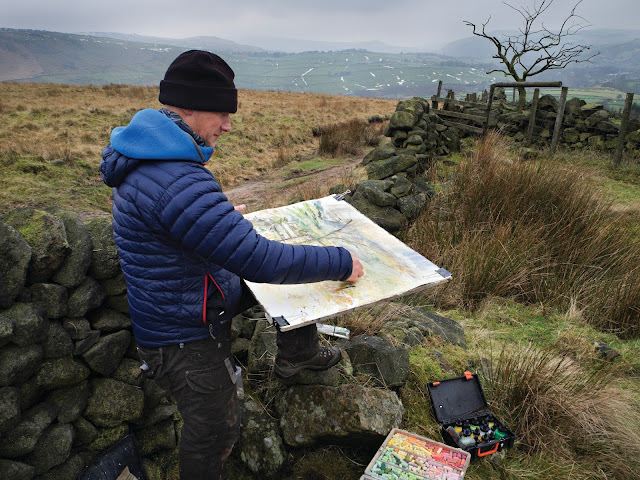 A recent break in the weather, a dash of sunlight and a dash to the edge of Saddleworth moor above the village of Diggle provided some fantastic and breath taking scenery to paint recently. 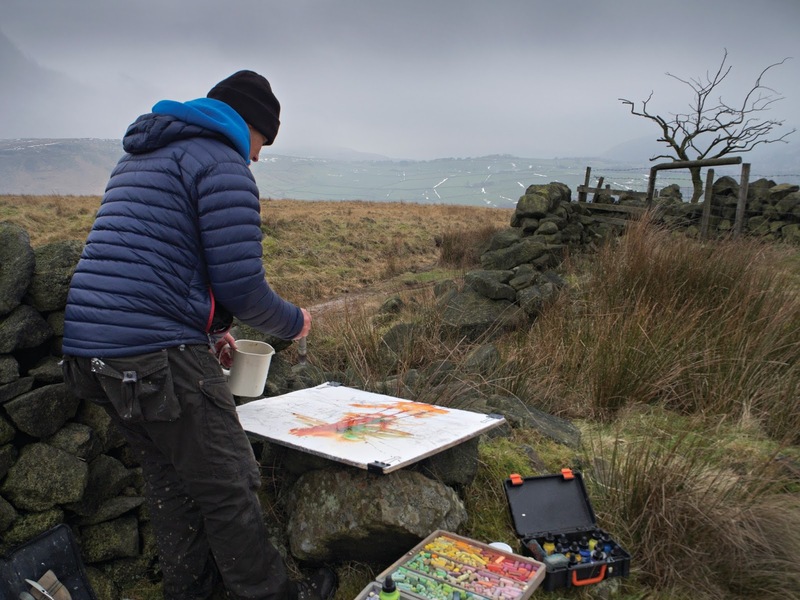 First hand experience painting outside directly in from of the scene for me really creates some, if not all of ‘the’ best work I do. Liquitex inks and plenty of mountain stream water - full flow creativity! 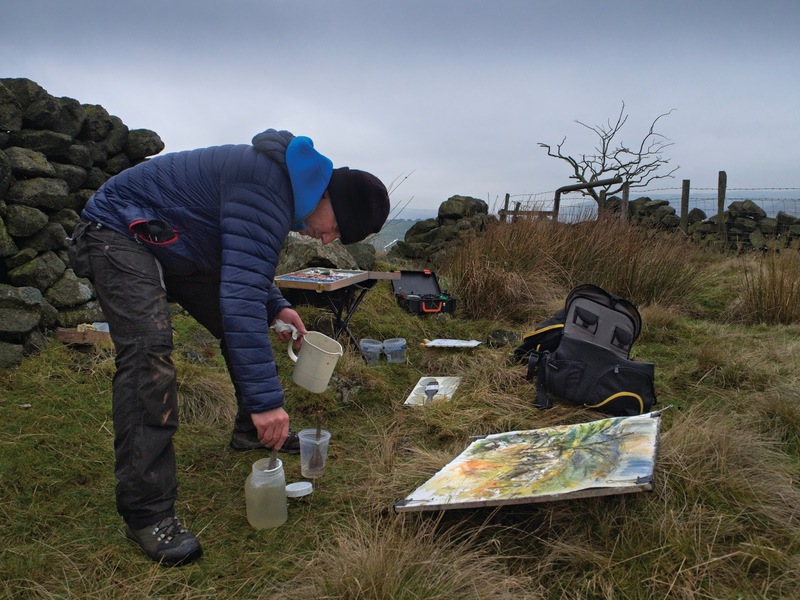 Adding more layers of beautiful Liquitex acrylic ink into damp washes - just look at that colour flow! 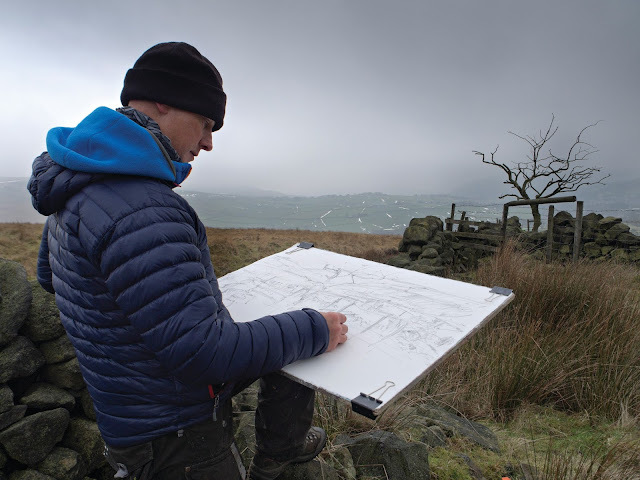 Worth every effort, every step and the time and distance to get to each and every location, especially in the Winter to be in such magical landscape deep within the Pennines! 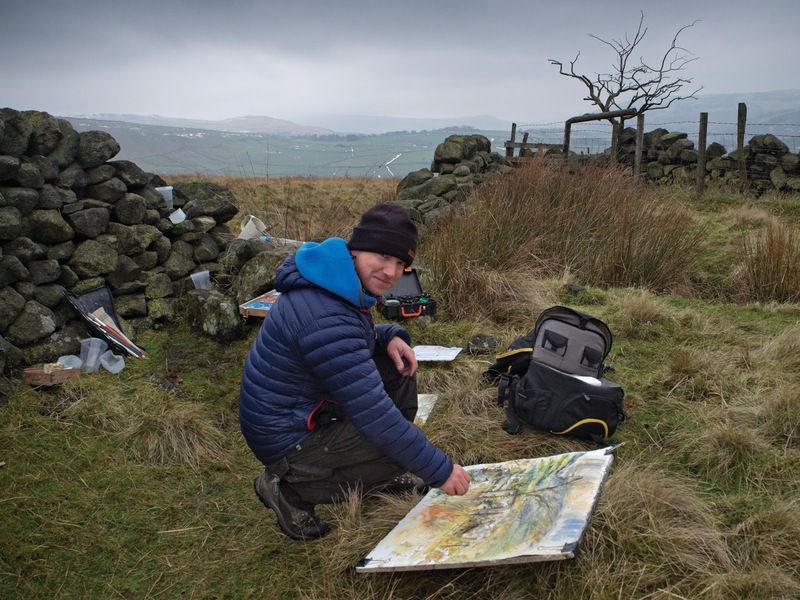 Here’s what I got up to painting ‘the’ best tree in the Pennines high above Diggle in iconic Pennine landscape. Using mixed media (to include Unison pastels, Liquitex inks, Derwent graphite sticks and watercolour) on Canson Moulin du Roy Watercolour Paper as a full imperial sheet 56x76cm as you can see, the 640gsm ‘Not’ 100% rag content paper worked wonders for all sorts of exciting expressive techniques to be created, even when the rain began! A strong yet really responsive paper, as always, just so amazing to work on for the very best creative results! 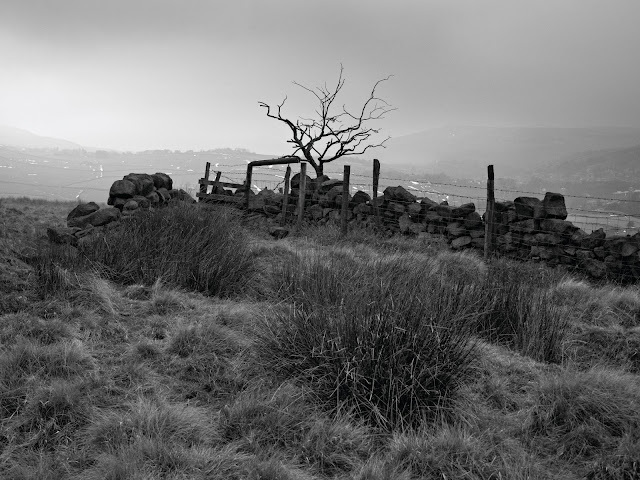 The best 'lone tree' in the Pennines. I'm looking forward to returning with my charcoal next time - this superb scene is just begging for a black and white mixed media version! 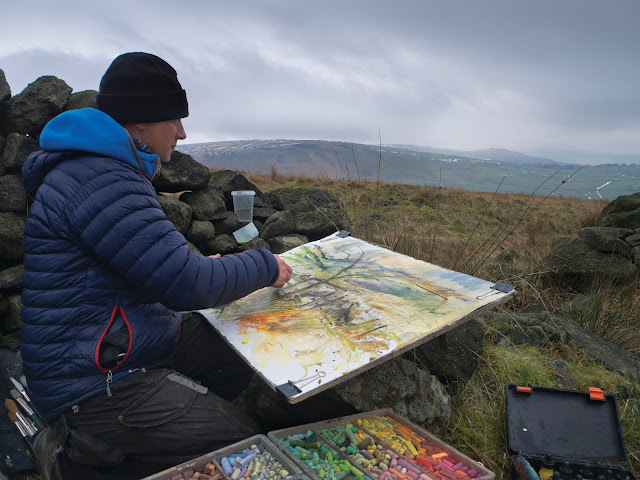 The original finished painting will be heading for Harrison Lord Gallery in Brighouse, near Huddersfield ASAP to join several other colourful and expressive moorland paintings recently delivered! 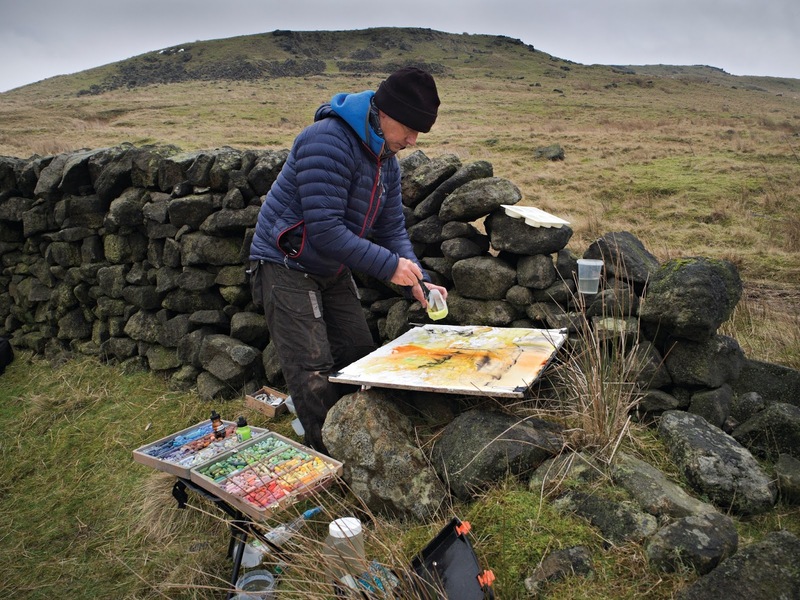 Enjoy the show and the warm reception at the gallery as I bring a little piece of the glorious high Pennines into town for you to enjoy!